On my way to Dallas for a book discussion and signing with the JEWEL Lesbian Fiction Book Club, I decided to stop in Natchitoches, Louisiana for the night. The city bills itself as the oldest in Louisiana as it was in 1714 that Louis Juchereau de St Denis built a garrison post here to repel the Spanish and promote trade with the Natchitoches Indians. 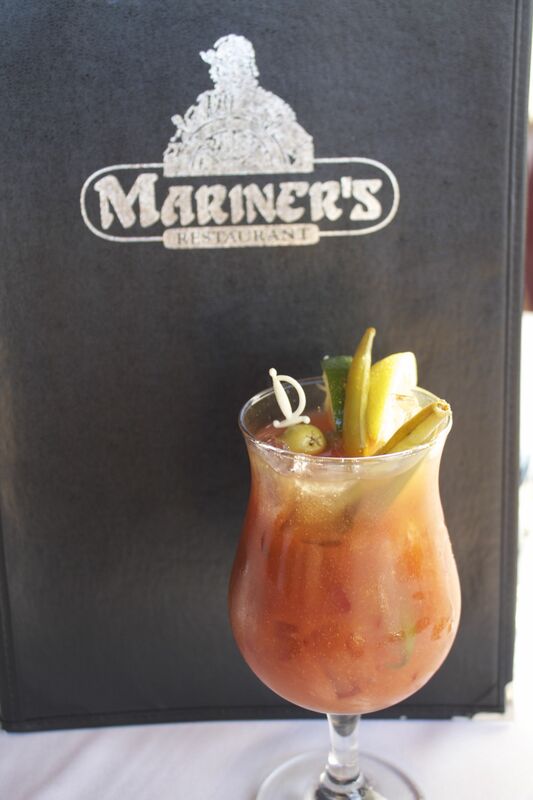 I had a couple of recommendations to try Mariner’s Restaurant while I was here and I’m glad I did. The restaurant overlooks Sibley Lake and it was quite a view as the sun set. 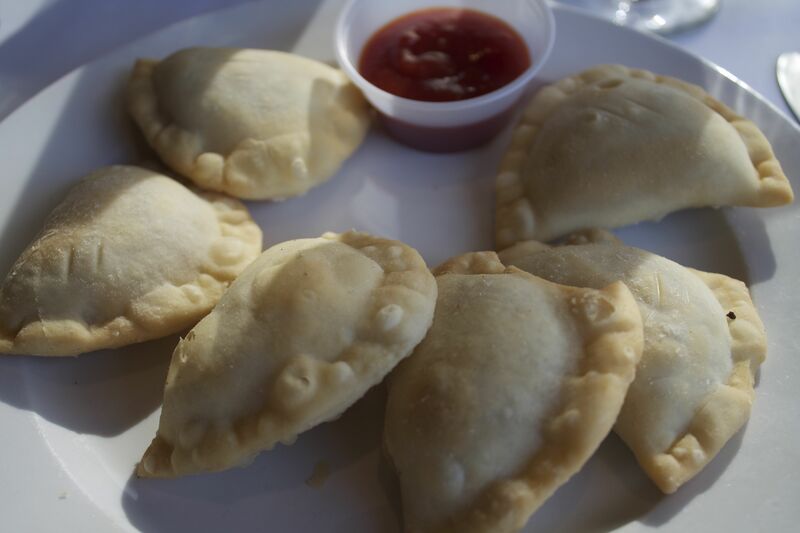 For an appetizer, I went with the Natchitoches meat pies – small little fried pies stuffed with beef, pork and cajun seasoning. There was just a little bit of heat but the pies were flaky and the filling quite good. I went with the stuffed shrimp as my main course and it came with a cream of artichoke soup that was absolutely delicious. I was tempted to lick the cup but managed to contain myself. 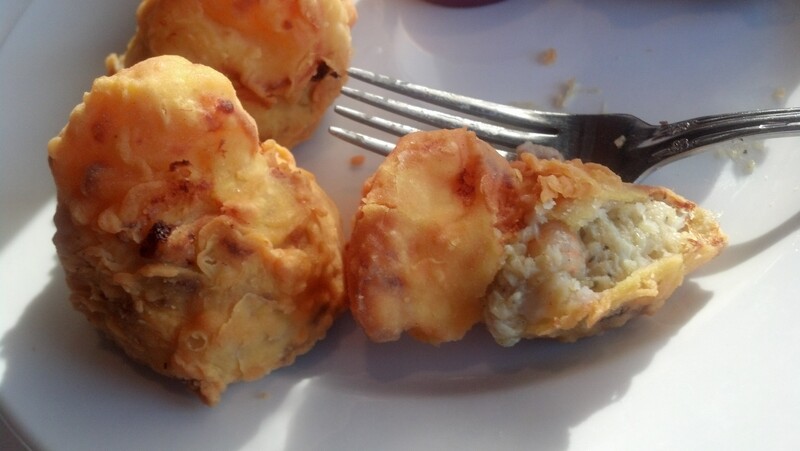 The shrimp were stuffed with Rosetta’s seafood stuffing – I don’t know who this chick Rosetta is but she can sure make stuffing! The service was excellent. The staff was friendly, knowledgeable and certainly didn’t steer me wrong on item selection. I also got into conversation with a couple at the next table (up here for him to perform trombone with a brass band at Northwestern State University) and they gave me some suggestions for other meals. Yay for nice people! I had a lovely meal and conversation at Nile Ethiopian Restaurant today. 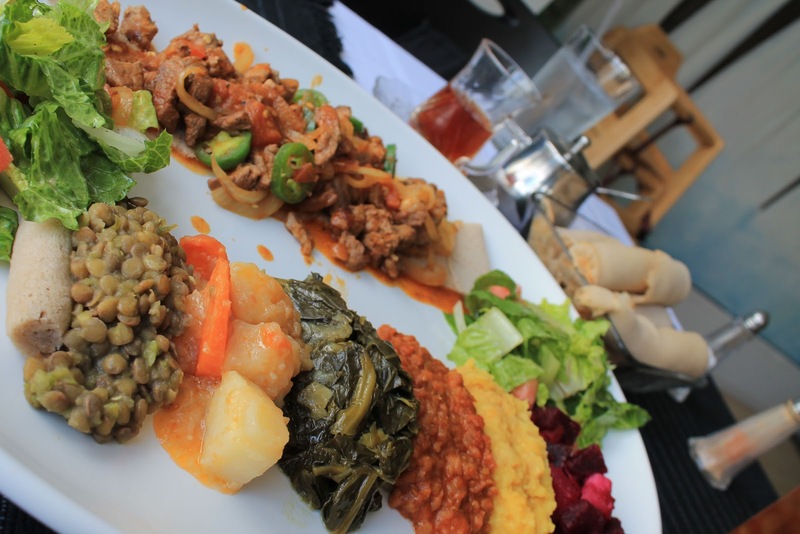 The newest of the two Ethiopian places on Magazine Street, it is a bit minimalist in decor, economic in price and authentic in flavor. We shared the vegetarian sampler with three different lentil preparations (green, red and yellow), carrots and potatoes, beets and greens plus the lamb tibs. The lamb dish included onions and jalapeno’s and was quite spicy but with a portion of red or yellow lentils, it was perfect. The injera bread, which is both plate and serving utensil, wasn’t quite as sour as I remembered from my last visit to an Ethiopian restaurant but still had that unique flavor and consistency. There was only a single server (after the guy who took our drink order left to drive a taxi) and she let us to carry on our conversation without pressure. It was a bit difficult getting a refill but that’s a small price to pay for being able to monopolize a table on Magazine Street for almost two hours at lunchtime. When driving back from Lafayette, I decided to take the Scenic Byway of Highway 182. 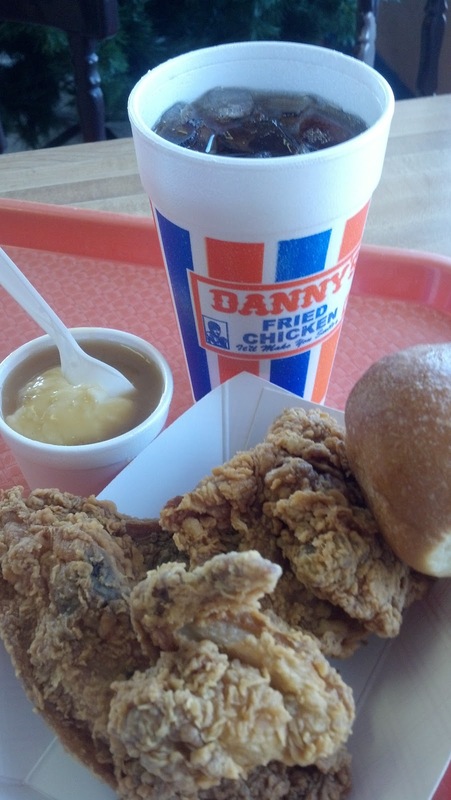 When passing through Morgan City, I was struck by the motto of Danny’s Fried Chicken – It’ll Make You Smile! The chicken was delicious – very juicy and flavorful with a bite of spice. There was even a good crunch to the crust. I admit that I did smile! 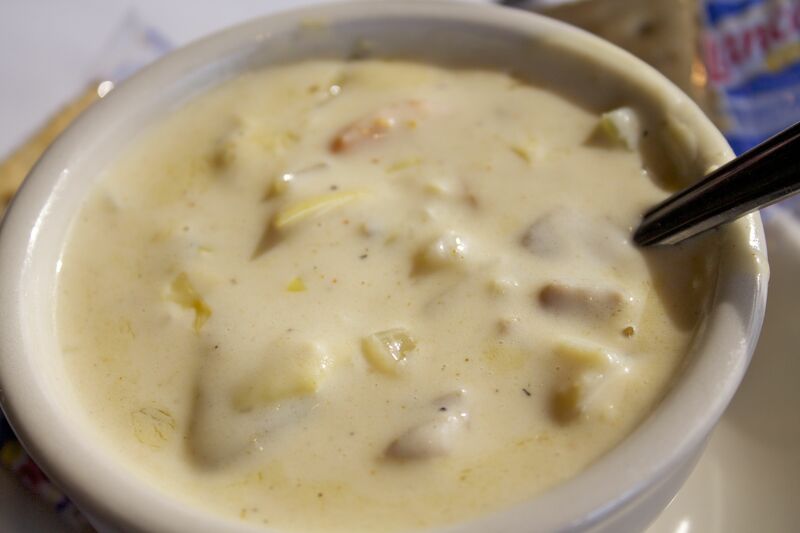 The mashed potatoes tasted like they were out of a box, though. All in all, I give it a thumbs up! I was in Lafayette again and I stopped at Mel’s Diner on Highway 90 as I headed back to New Orleans. I’m a fan of old time diners, those with garish colors and lots of chrome are my favs. This particular one used pink and turquoise. It was also a lot cleaner than many of the diners I’ve been in and a heckuva lot colder. They must keep the thermostat at 50 degrees because I swear it was warmer outside! There weren’t many folks in when I got there, so I got the waitress to give me a 50/50 sweet/unsweet tea while I read over the menu. 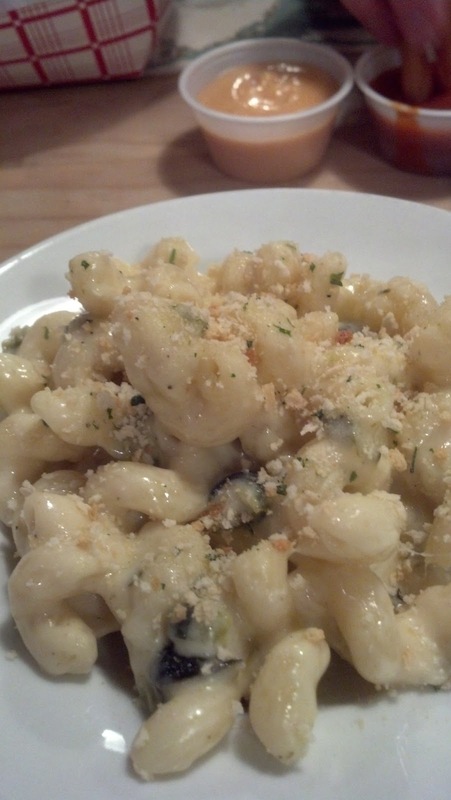 Lots of typical diner food and even a few healthful options. Anyway, I wasn’t in the mood for a burger or for catfish so I went for the Chicken Fried Steak Dinner. 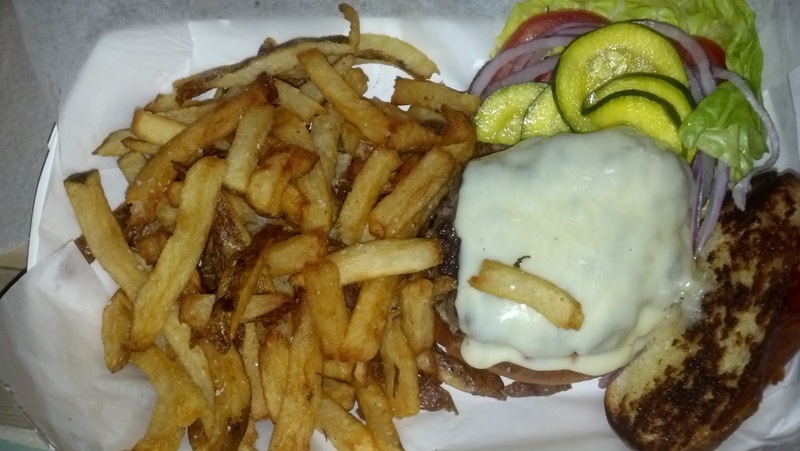 It comes with a starch (french fries, mashed potatoes or baked potato) and a vegetable. I didn’t want any of the veggies I could select from, so the waitress just gave me both fries and mashed potatoes instead. 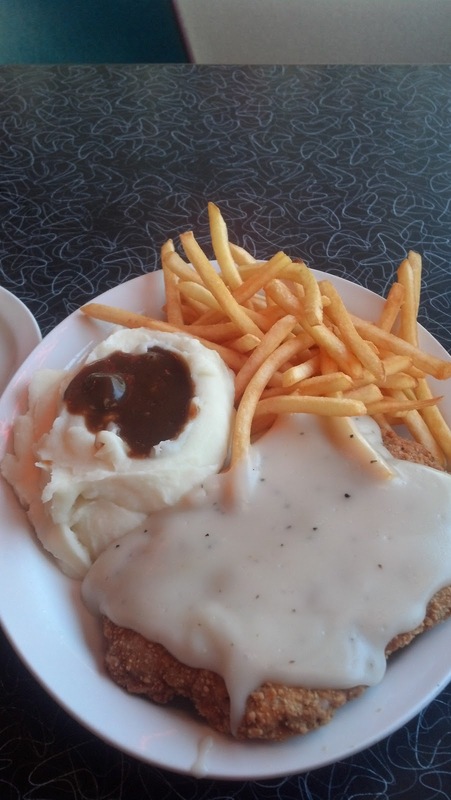 The meal was pretty good – the white gravy wasn’t overly salty and very generously covered the good sized piece of meat. The beef was tender and the coating was tasty. The fries were a little crispier than I prefer but, soaked in gravy, they were pretty darn good. Not a bad meal but remember to bring a sweater! I was making another loop around South Louisiana and had decided to get off US Highway 90 and try the Scenic Byway. Louisiana Highway 182 took me through several small towns and I stopped for lunch in Houma. 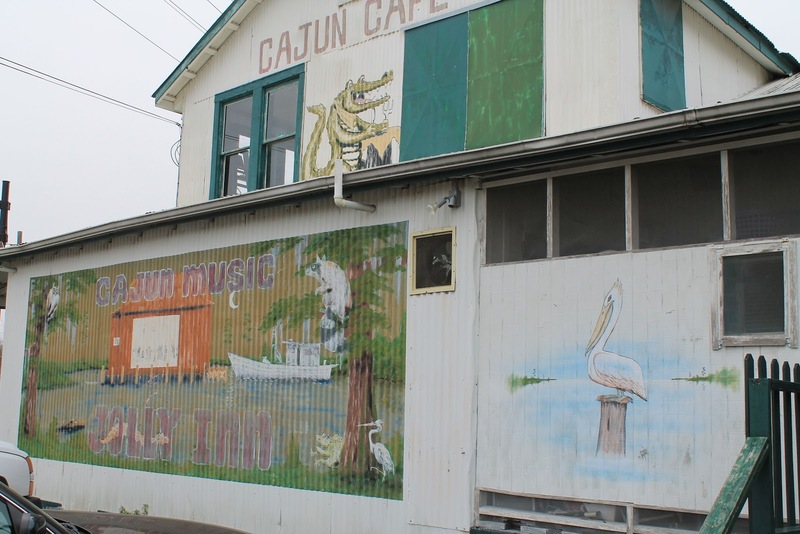 The Cajun Cafe struck my eye with the colorful mural on the outside wall. And it is more than just a cafe! Once I went inside, I found that there is a bar and a dancehall, with live music regularly. 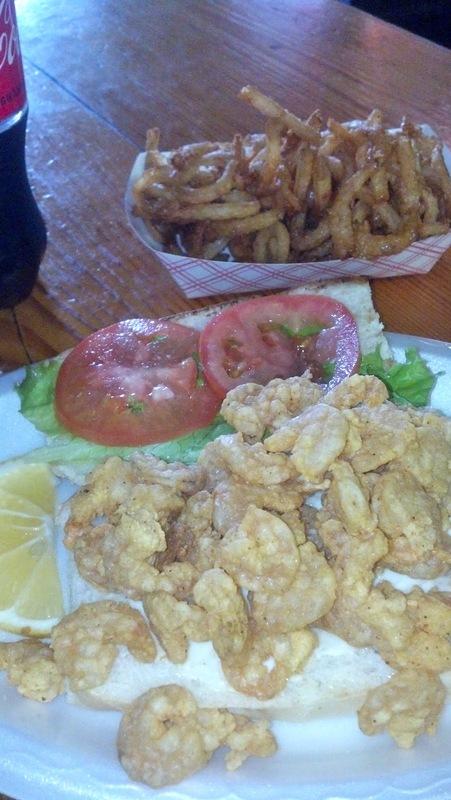 I ordered the shrimp poboy with fried onion twists. There were a lot of shrimp although it was a little obvious by their slight sogginess that they had been sitting there for a while. They still tasted fine, though. The fried onion twists were fried fresh and very good. I was the only customer at a little after 2:30 and, instead of rushing me out the door so they could close, the waitstaff was friendly and chatty. Who knows if I shall ever be on that road again but, if I do, the atmosphere alone might be worth a revisit. 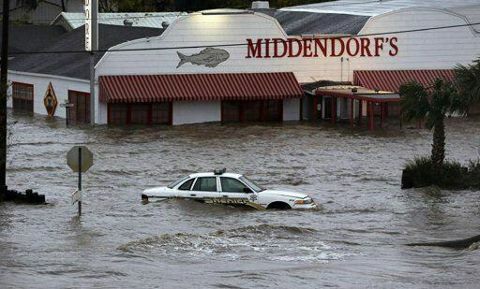 I was taking the long way home from Baton Rouge today and stopped by Middendorf’s Seafood Restaurant. It was the first time I’d been back since the flooding following Hurricane Isaac. They cleaned it up real well! I started with something cool and refreshing on a recommendation from Chris, the bartender. 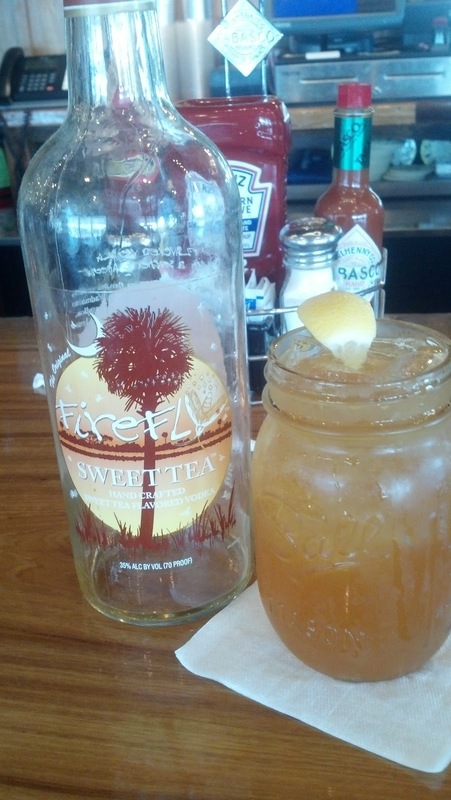 It was a Southern Fly which was Firefly Sweet Tea Vodka mixed with lemonade and served in a Mason jar. Very good and quite enjoyable after an over 400 mile loop around south Louisiana. It being Middendorf’s, I hardly had to look at the menu. 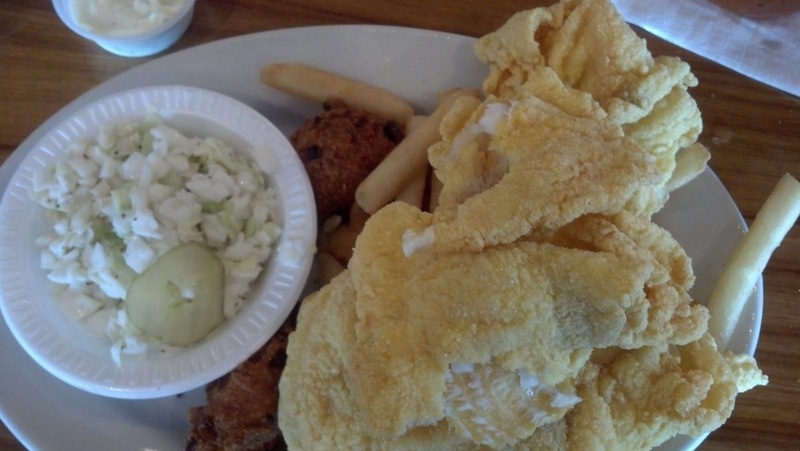 I just ordered their thin fried catfish meal that came with hushpuppies and slaw. Chris asked if I wanted silverware to eat the coleslaw and I told him no. I was there for the catfish and French fries only. The order came out quite quickly and the four pieces were wonderful – very thin with moist and flaky flesh under a light corn flour crust. I finished the meal with some house made pineapple ice cream. All it was missing was some rum! This place is rarely on the way to anywhere I’m going but it is worth the extra miles to get there.